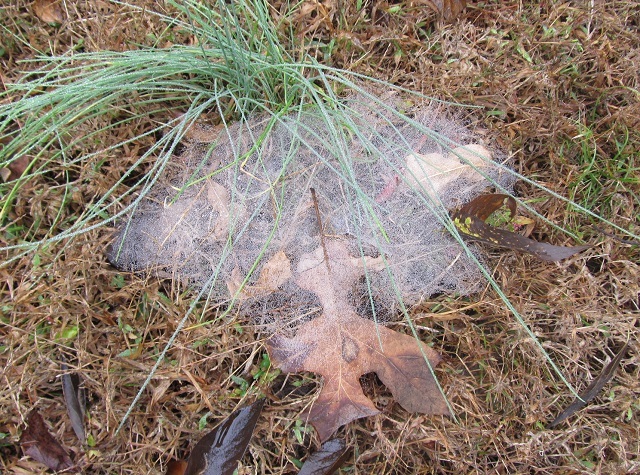 For some reason, it surprised me to find grass spider webs this late in the season. I couldn’t find the entry tunnel for this one. it came to the mouth of the tunnel. 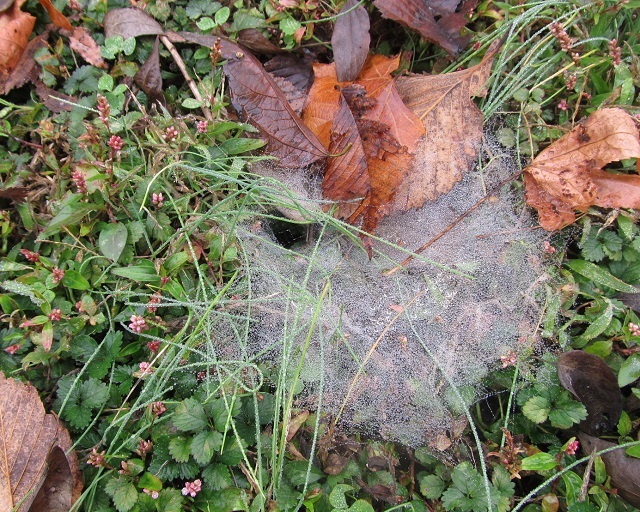 Their eggs overwinter in an egg sac, which is usually outside the web, sometimes under the bark of a nearby tree. 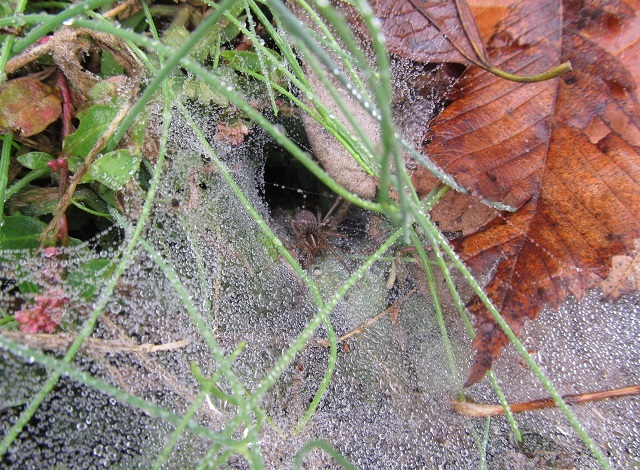 The spiderlings disperse in the spring and build small webs apart from each other. 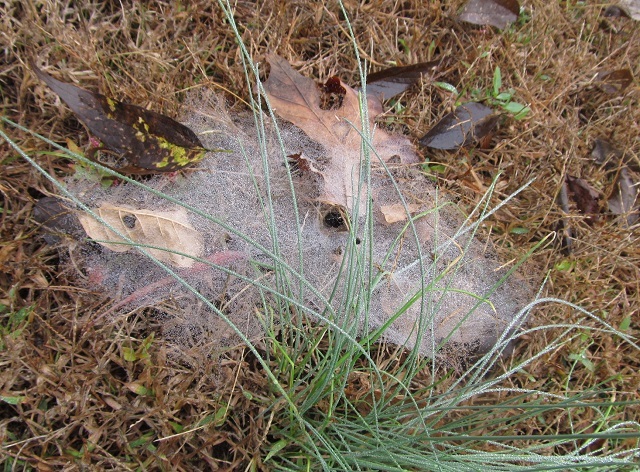 They are a quick-running spider and depend on speed to catch their prey. 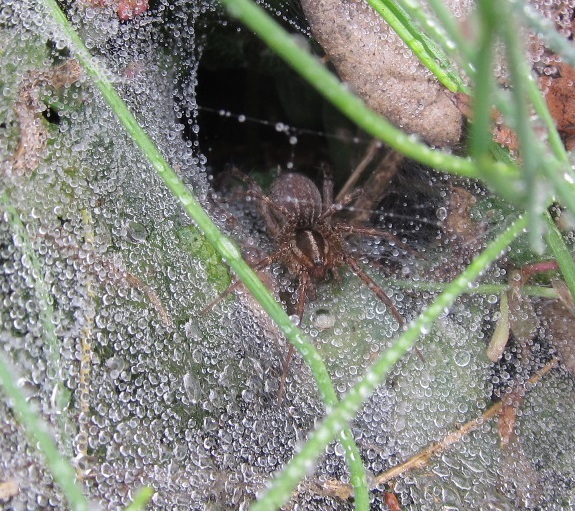 I was also intrigued with the reflections on the dense dew drop covering the webs.